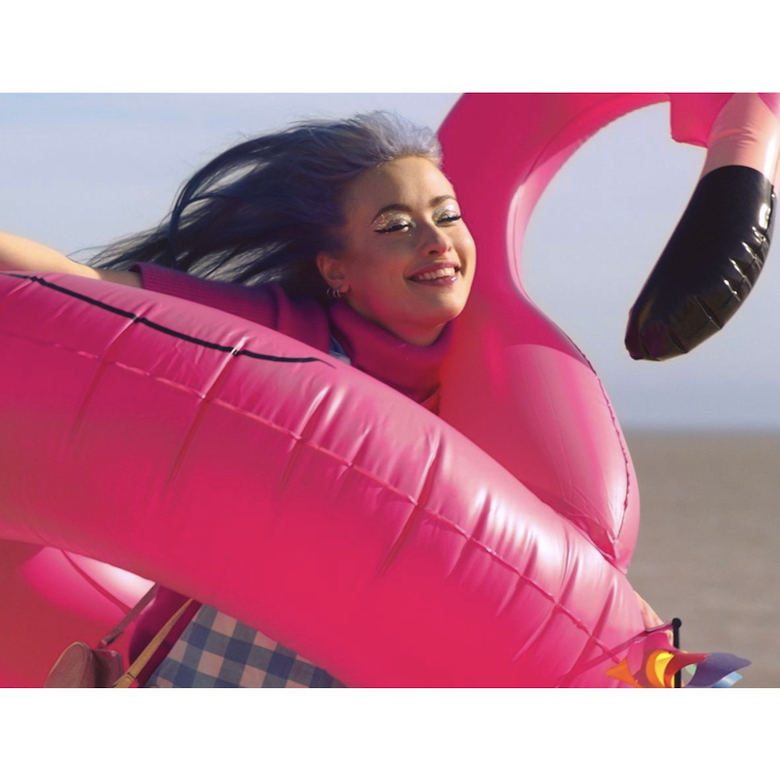 The pastel tones of this track are imbued with carefree havingfun-ness, not necessarily pleasure-seeking nor hedonistic because those things are overly gratuitous, but instead Kero Kero Bonito's summer anthem, like many KKB bangers before it, strips things back and makes things simple for us with a head-over-heels sense of freedom and innocence, all the while bass bloops, synth shimmers, rounded drum machine jostle tumbles along. Sarah code-switches not only between Japanese and English but also between singing the fresh pop melody and calling out in playground rhymes. It is without pretence supercharged with pop power, breezily skipping with digitised vocodered softness, spinning the track's catchy lines with metronomic rhythm: "And I gotta find my shorts and shades, cause I know the sun is here to stay, so we can all go take a break on a forever holiday." The content of the bouncy-floating hook, of the entire song in fact, highlights a specific theme—a 'Forever Summer Holiday', an illustration of the feeling of wholesome anticipation when the vast summer seems to stretch out in front of you without end, each sunny day time to fill with whatever you want. Nothing beyond simply having fun is insinuated in this condensed idealisation of the summer break; a quality of non-nostalgic longing that makes Kero Kero Bonito so fresh is that rather than aching over things that could be considered faded and gone, their music instead summons that feeling as a present, happy, here-and-now occurrence. Syncopated chords add a party atmosphere to the proceedings, glimmering liquid synth brings poolside sparkle, fun ornaments pop by (e.g. 1:44) for a VGM infusion; something about the vocal melody and tone recalls Mario 64's file select screen, then there's the Nintendo-flavoured marching band drums at 2:22. The triumvirate of KKB powers on unmatched, bubblegum princess pop made universal, experimental computer music throwback sounds made polished and digestible, the indoors outdoors, the bridging of things and unabashed celebration of moments. 🔔 'Forever Summer Holiday' is taken from Kero Kero Bonito's Japanese edition of their 2016 album Bonito Generation, out 12th July on Sony Japan. 🔔 There is also a video for 'Forever Summer Holiday', directed by Theo Davies.